After two great years we are busy planning Clydebuilt 2019! We will return to the Clyde and the Riverside Plaza on the 21st and 22nd of September stick the date in your diaries now and keep and eye on our pages for updates closer to the time. 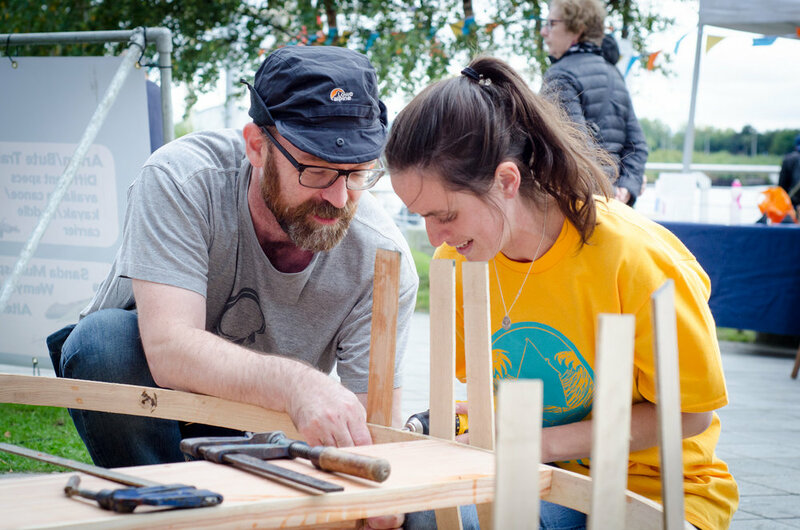 Expect chances to get on the water in canoes; it's trying your hand at traditional skills; it's listening to fiddles choons with a pint while boats play on the water or strolling through our market looking at all the products hand made in Glasgow. There will be boat launches and rowing races, steam bending and story telling, sea shanties and beer. It'll be bright, colourful and surprising. It'll be unexpected, and it'll be really quite boaty! The Festival runs from 10-5 on Saturday and 10-4 on Sunday and is totally FREE! We're based around the plaza of the Riverside Museum with good car parking and easy transport links to the city centre. We'll have loads happening over the weekend but we’re still figuring it all out. Watch out for info soon! The Riverside Museum is easy to drive to. Right off the A814 express way. Just follow signs for the Museum or use the postcode G3 8RS. Parking is metered and not very cheap - you might want to park elsewhere and get public transport to us. Subway from around Glasgow will stop at Partick if you shout 'Boats' really loudly when approaching the stop. The Govan Ferry will be running through the festival. It runs from 10-6 back and forward all the time. If you're coming from the south consider getting to Govan and coming over by boat to get in the spirit. Or you can always row to the site if you have your own boat and want to join in! If you'd like to get in touch for any reason please use the form below or by the methods to the right. CASTLE TO CRANE: If you have specific questions about the race please read the Frequently Asked Questions before emailing. We're happy to answer any and every question you may have if it helps you come take part in the event, but it really helps us if you can check there before getting in touch.